Energize a large quantity of liquids at one time. This pitcher will energize anything, depending on the moisture content, to 1.5 Million Bovis after 24 hours! This, in vibrational numbers is between 600 and 650 on the scale of 1-1000. Look at the map of consciousness to have a feel what this means to you. Premium quality poly-carbonate plastic construction is extremely durable. New much much lower price. 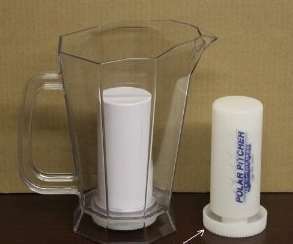 this design allows you to recharge the pitcher (every 1-2 years) by replacing the Energized Gel Insert. Just to let you know that the link to buy the energizing pitcher is broken, so you can’t buy it. wow, I never would haven known without you alerting me. It is fixed now. Thank you so very much. Is it okay to freeze the insert? muscle test says it’s ok, but taste test will be the final authority. do you want me to test one myself and measure it? Pls My husband put it in the freezer as per the instructions inside the pitcher. What man reads instructions LOL? I am planning on getting a filter to take the chlorine and fluoride out of my water. As for energizing, as you familiar with Raymon Grace? He does a lot with water. I have his CD for energizing water. Not sure it does anyhting, but I like the concept. I have Raymon Grace’s CD too but it is not really for energizing water so much as for making the water programmable, meaning he cleans the water and makes it programmable for anything you like, for ex to heal, to provide nutrients that your body needs, just like what one of his student did. Suggest you view the CD again. [added in email:] I have his CD for cleaning and making programmable water but it didn’t work for me. 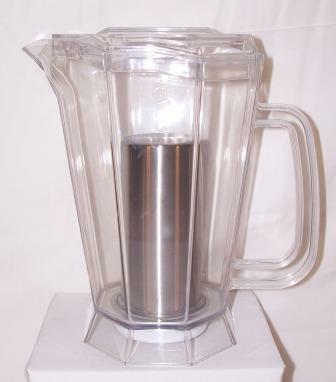 Iam interested in buying Energised water pitcher .What is the price and shipping cost to india.I am so exited to know about this product ,Will you ship to india.